Naturopaths suggest everyone and follow themselves to start their day by guzzling a glass of water. Start your morning with lemon water as it is the health treatment of the moment. It has many magical benefits that can show its magic in just a few days. The benefits of lemon water go beyond the fact that it instantly quenches thirst better than any other beverages, it has many health benefits. Lemons are packed with all the essential nutrients in it. So, here’s why you should start your day and why you must include lemon water in your routine. Many do not know that Lemons are a source of pectin fiber, which helps quash hunger pangs. Many studies have proven that people with a better alkaline diet have lost weight faster. Lemons are highly salty food, and this thing helps to prevent cancer. As per researchers, cancer is a disease that cannot thrive in an alkaline environment. The higher the pH, the more your body can fight diseases. So do not forget to have lemon water as their alkalizing effect is a guard to our body. Vitamin C in lemon helps to rejuvenate our body and thus improves our skin. 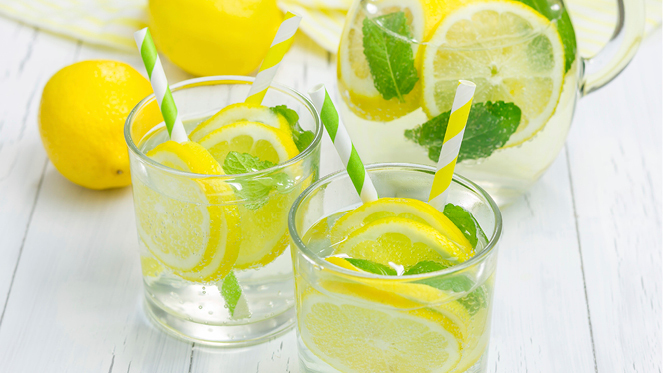 Drinking water with lemon regularly every morning will undoubtedly enhance the condition of your skin. Lemon includes citric acid which helps in reducing pain in the joints and muscles. And also lukewarm lemon water helps in digestion. Lemon water is beneficial for pregnant women. Since lemons are loaded with Vitamin C that acts as an adaptogen helping the body to fight against viruses such as cold, flu, etc. Also, vitamins in Lemon aids the formation of bone tissue of the unborn baby. So, make a habit of putting Lemon in your diet chart or starting your day with Lemon Water.